Pilerman wrote: I just found out a little more from the maker of c:geo. Here's his dilema: OCUS, OCEU, OCthis, OCthat... if there was a global server like GCCOM he would likely do it. The OCxx community is in the earliest stages of looking at how they might be able to make the sites more unified in a way that could help with things like this. opencaching.NET or maybe opencaching.ORG as a global one? Better secure the URL *NOW*! 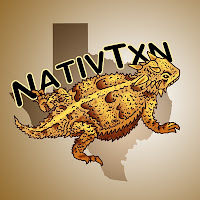 NativTxn wrote: opencaching.NET or maybe opencaching.ORG as a global one? Better secure the URL *NOW*! c:geo is the only app that we use for our Droid X and Droid. If GC.com blocks c:geo one day, then that will be the day that we stop geocaching all together. GeoHunter is a good alternative. It's not a live search, but you can download queries/searches from gc.com AND opencaching.US and have them all in one place. You can take short notes and save them to a file so you can add more to your logs online later. I love c:geo's live map search and the ability to drop TB's and it's usually my first choice. For a specific cache run, I'll use GeoHunter so I can do quick notes and log later (to save the battery while in the field). Moofia Mob7383 wrote: c:geo is the only app that we use for our Droid X and Droid. If GC.com blocks c:geo one day, then that will be the day that we stop geocaching all together. I believe this is the case for far more people than they realize. Despite the original developer ceasing work on the app, a new team of developers have picked up where carnero left off. To get the new version, you'll need to search "c:geo - opensource" in the Android Marketplace. For now, the original (no longer updated) version is also still listed and will show up if you just search "c:geo". If you have the old one installed, you'll want to uninstall before installing the new one. Once installed, the new version will just show up as "c:geo". For more information see them on Facebook, Twitter or their newly launched website. Be sure to let them know you would like to see OpenCachingUS added to c:geo's capabilities. The only way to make OCUS really take off is to hide lots and lots of OCUS Only caches and get all of your caching buddies to do the same. Thanks! Been waiting, but hadn't seen that. I'll check it out!